I am not surprised that I have a young collector at home because once, twice or even thrice in my life I also enjoyed this hobby. There were times that I collected shells from the beach, coins from my travelling friends as well as scented paper and pens from my classmates. All collections, all rare items, will give us good and happy memories that we will bring with us as we grow old. Collecting is one of the most exciting hobbies for kids. 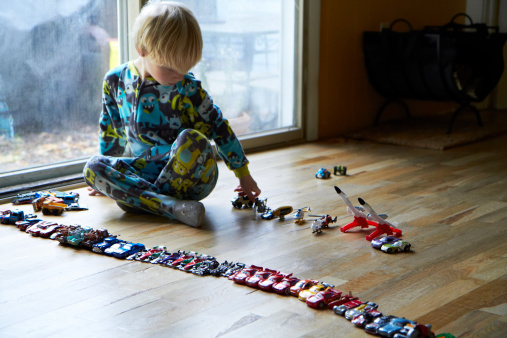 Most child’s collections start unintentionally. It can be triggered by a neighbour giving an old stamp to your child or a friend showing his baseball card to him. Regardless of how it started, what matters is how we can support them in this journey as this experience will teach them life lessons that they will find very useful when they grow up. How Do I Support His Hobby? Collecting is about exploring, playing and having fun. However, it is challenging at times as our kids are so hooked into their collection that we go unnoticed. Here are some helpful tips to engage with their hobby and successfully raise a collector. Casually ask him how he sorts and organizes his collection. Randomly ask what his favourites are, how big his collection now is and how he plans to expand it. With a simple chat, you will be able to show your support for his passion, trigger his excitement and at the same time reinforce his reasoning skills. Help manage your child’s collections. Give them adequate space for storing and keeping their collection safe. In addition to shoe boxes and shelves, egg cartons and jars are the other common household items that you can use to organize your kid’s stuff. Sit with them and get the art materials out of the closet. Boost their creativity, trigger their imagination and guide them as they personalize their collectibles. Introduce a way to effectively track their collections. Young collectors, especially those age 7-10 years old, take pride in having rare items as part of their collection and losing these will result to frustration. Show them a way to label each of their collectible. If your child is collecting baseball cards, encourage him to have a notebook to list all the cards that he has on hand, the ones borrowed by his friends and those that he has traded. He will find this list very helpful when the time comes that his collection is big enough and he can’t remember what items are still with him and what he has already given out. One of the most essential lessons that kids can learn from being a collector is effective financial management. Once your kid shows interest in collecting stuff, grab this opportunity and discuss with him the value of money as well as the concept of budgeting. The question now is how we can impart this knowledge to them in the best way that their young minds can understand? My two cents is to start with offering them a monthly allowance that they can use to expand their collection. Stress that the money will come as a reward for completing a household chore or for bringing home an good grades. Do not interfere too much but share some strategies to help them maximize the money that they will earn. Teach and encourage them to be patient and to learn the delayed gratification behaviour. Above all, let your kids make bad calls as these are good stepping stones to expand their understanding on basic financial management. These are just a few life lessons that our kids can learn from being a young collector. As much as we want them to benefit from this experience, let’s not forget that collecting is a fun experience. The most important thing of all is we engage with their hobby and create good memories with them.